This Spring has been a busy one here at Challenge America. We're so excited to share with you all the amazing adventures we've had. And most importantly, we want to thank you for being a part of this vibrant community showing our nation's heroes that we care and making a lasting, direct impact on their lives. On April 30-May 2, 2018 history was made in Tel Aviv, Israel, where the 2nd annual Makers For Heroes make-a-thon took place. There, Challenge America partnered with Israeli nonprofit ReStart and TOM Global to create innovative solutions to the challenges of our nations' injured soldiers. The make-a-thon featured 13 teams built around individual injured veterans and specific challenges that they have been facing and made up of expert engineers, programmers, designers, and physicians. What these teams achieved in just 57 hours is truly remarkable. Click here to hear from the participants on the transformative solutions their teams created. April 2018 marked the official launch of the Military Sisterhood Initiative, a national peer support network for women of the military. Learn more here! What does music therapy mean to veterans struggling with PTSD? To one participant from our retreat in Nashville this past May, it means "there is light at the end of the tunnel HOPE" and to another it is "a tool to grow with. A tool to help expand my ability to deal with life’s faults and victories". For us, it is an essential resource we are working to connect veterans to, wherever they are in the country and in their journey. Click here to give the gift of music to a veteran in need. On June 25, 2018, coinciding with the U.S. Senior Open at the Broadmoor Hotel and Resort in Colorado Springs, Challenge America will put on a benefit concert featuring Vince Gill and Amy Grant, and celebrity guests, including Fred Funk and other top tour professionals. Interested in attending? 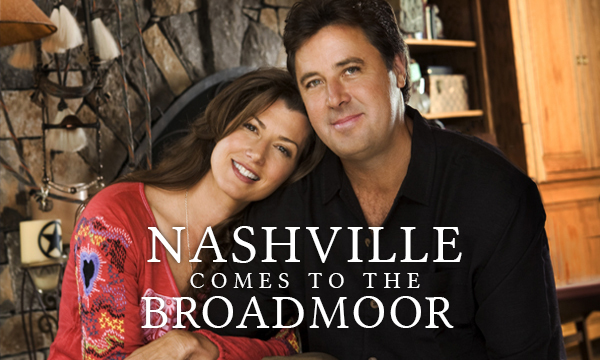 Visit www.nashville2broadmoor.org or contact Dallas Blaney at (970) 279-1323. We can only do this vital work with the support of people like you.